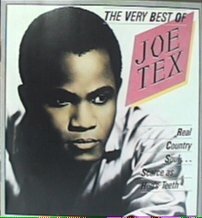 On Cd The very Best Of Joe Tex Charly Records 133. 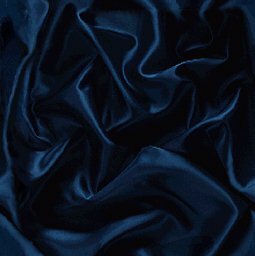 For a more danceable Joe Tex try "Ain't gonna bump no more"
'S.Y.S.L.J.F.M. (The Letter Song)' (1966) and 'Show Me' (1967) proved. Later releases were less successful and although 'Skinny Legs And All' and 'Men Are Gettin' Scarce' showed him still capable of major hits, the singer seemed unsure of his direction. A fallow period ended with 'I Gotcha' (1972), an irresistibly cheeky song, but Tex chose this moment to retire. A convert to the Muslim faith since 1966, he changed his name to Yusuf Hazziez, and toured as a spiritual lecturer. He returned to music in 1975. Two years later he enjoyed a 'comeback' hit with the irrepressible 'Ain't Gonna Bump No More (With No Big Fat Woman)'. By the 80s, however, Joe had withdrawn again from full-time performing. He devoted himself to Islam, his Texas ranch and the Houston Oilers football team. He was tempted into a Soul Clan reunion in 1981, but in August 1982 he died following a heart attack.